The Production Company this week announced its 20th birthday season, which is set to feature three shows that are a must for every musical theatre lover’s calendar. 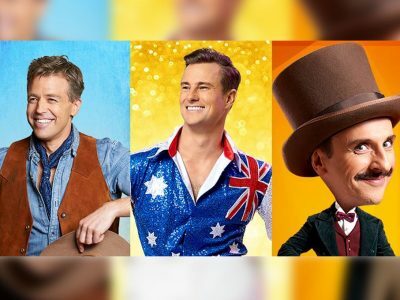 The season will commence with Rodgers and Hammerstein’s masterpiece, Oklahoma!, followed by the iconic Australian musical, The Boy from Oz, and concludes with the Australian premiere of the drop-dead musical comedy, A Gentleman’s Guide to Love & Murder. Take a look at our gorgeous launch and meet some of the wonderful cast members of the 20th Birthday Season below!